I did it! I survived my first 5k! I have to say, this may be my first and last 5k. It was hard! When we started the race, in the first 30 seconds, I was overcome with emotion. I have no idea what was wrong with me, but I just felt like crying! So weird! I didn't run the full race, but stopped to walk every once in a while. There were a ton of hills, but thankfully lots of shade! We started the race towards the back of the group with the walkers. I knew I wasn't going to be super fast and with my stroller and I didn't want to get in anyone's way. I tended to stay around the same group of people for the duration of the race. I have to admit, it was pretty depressing to see a mom running with her son who only appeared to be about six or seven years old. That little boy could run! He ran the whole race while I was struggling! Oh to be young again! When the finish line was in sight, I knew I had to run out the rest of the race. There was no way I was crossing that line walking! I could feel the heat on my face and was willing myself not to cry. I have no idea what was wrong with me! I was just full of emotion. I wasn't holding back tears because I was in pain and I don't feel like it was related to me finishing the race. I just needed a cry! Maybe the same thing in running that releases endorphins releases tears too. No idea! My toddler had a great time chilling in his Baby Jogger Summit X3 for the whole 3.2 miles. He loved going fast down all the hills and the bystanders cheering at the side lines encouraged him to cheer along too! Cutest thing ever! We have been training over the past few months with the Summit X3 and I have to say it's an amazing jogging stroller! While it's heavy (25 lbs) I never felt like it was hard to push. The stroller seamlessly goes over bumps and curbs thanks to the suspension system. The large wheels make jogging a breeze and the front wheel locks into place for jogging purposes. There are 2 brake features on the stroller, a traditional foot brake and a hand brake on the handle, as well as a strap to keep the stroller from getting away from you while going downhill. My toddler is always super comfy when he takes a ride! He loves climbing up into the seat! The 5 point harness is great for safety. The seat fully reclines for a sleeping baby. I absolutely love that the canopy that has 3 positions and protects my son from so much sun when fully extended. The side vents allow for air flow on hot days. 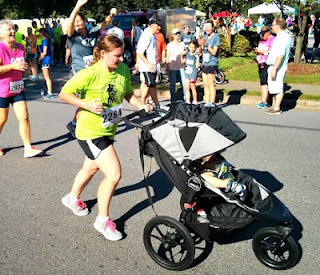 The top of the canopy has two windows that make seeing your child easy while running. The bottom basket is great for holding onto your diaper gear, water bottles, sippy cups, etc. There is also a mesh back pocket that is perfect for holding your phone or keys while running. And of course, I can't forget one of my favorite features, the incredibly easy one-handed fold! This stroller has been a dream! We've taken it for our runs, trips to the pool, Farmer's Market shopping, local festivals and more! I absolutely love it! I now have my eye on the tons of accessories available to make it better! One day, when we have another baby, I will get my hands on the glider board. We'll continue to use the Baby Jogger Summit X3, but I think I'm switching to a brisk walk over running. I'm not sure I'm cut out to be a runner! Are you in the market for a new jogging or multipurpose stroller? Pish Posh Baby has an amazing selection of strollers! They offer free shipping on orders over $75 and will price match competitor's prices! 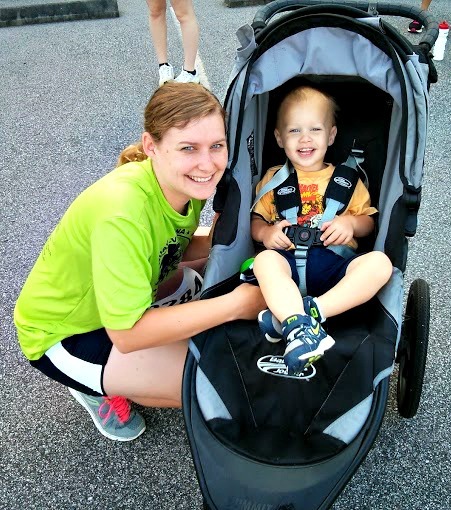 If you're not sure which stroller to get, be sure to chat with a Mom Rep! She can help you decide which stroller is best for you! This post is part of series of posts sponsored by Pish Posh Baby. 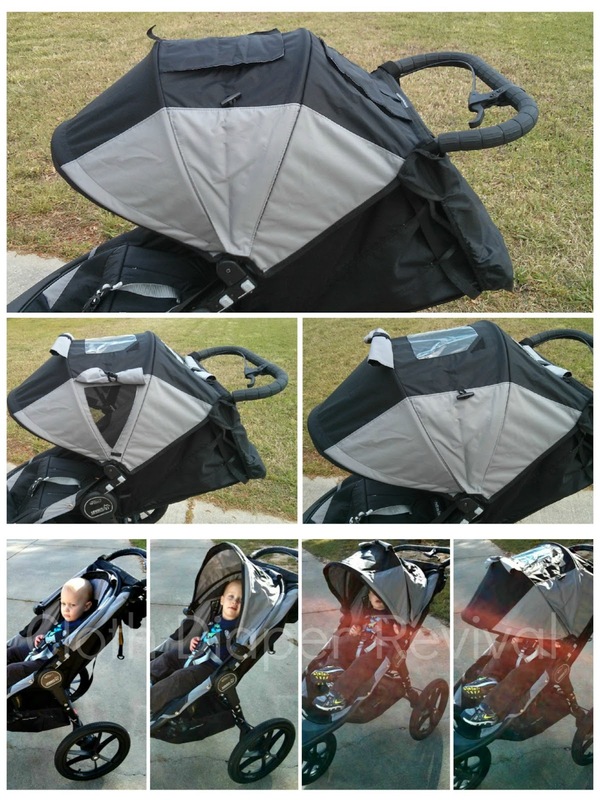 I received a Baby Jogger Summit X3 for review purposes. All thoughts and opinions are my own. 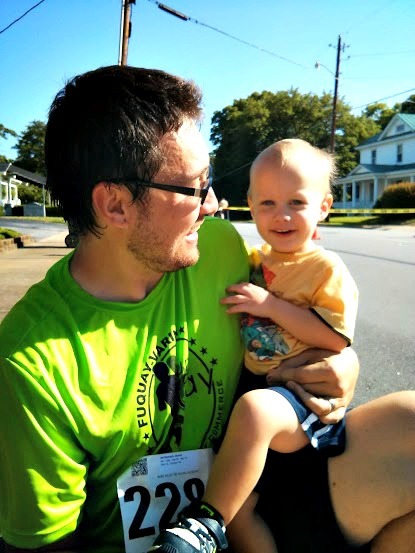 Congratulations on finishing your first 5K! The Baby Jogger looks amazing! Congrats! I've been training for a 5k (My first is this Saturday) and pushing a stroller is a lot harder than doing it solo! Even a jogging stroller! So major props to you! That stroller looks awesome! I would love to have one! Congratulations! That's quite a feat. I'm not a runner, but that jogger will probably be a good motivator since I can bring the baby along. Congrats! I want a nice jogging stroller. Congratulations on even finishing! Pushing a stroller is hard work. Kudos to you for even giving it a whirl. I have to agree with the jogging stroller being heavy but they are so smooth! Once you get one, its so hard to go back to this flimsy plastic wheels that most strollers have.